I've been obsessed with Tom Ford's fragrances for almost decade now. It all started when he launched his musk collection in back 2009 (which, funnily enough, was recently relaunched). I had never smelled anything as intoxicatingly alluring as White Suede — and to this day, it remains the only fragrance bottle I've ever completely finished (twice over!). I've been wearing the relaunched version and it's not uncommon for people to comment on it. 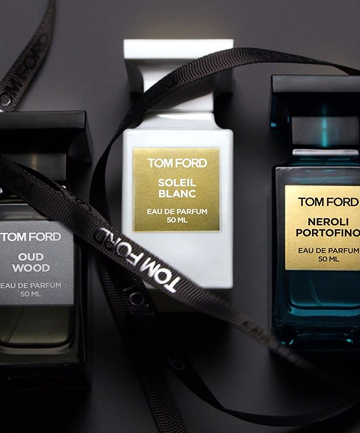 In fact, it's not uncommon for people to comment on any Tom Ford scent, because every single fragrance is wholly unique and tantalizingly off-the wall — which is saying a lot, given the fact that there are dozens of fragrances in the collection. It's also worth noting that because most are eau de parfum, they're strong and long-lasting. A little goes a long way, which certainly helps to offset the hefty price tags.